Gilbertsville, PA, USA (January 14 2015) – Gateway Ticketing Systems is pleased to announce its selection by The Atlanta Botanical Garden as the venue’s new ticketing and access control provider. The Garden will join the Center for Civil and Human Rights, Georgia Aquarium, and Atlanta Historical Society, among other landmark Atlanta venues, in implementing Gateway’s Flagship point of sale and admission control solution, Galaxy. 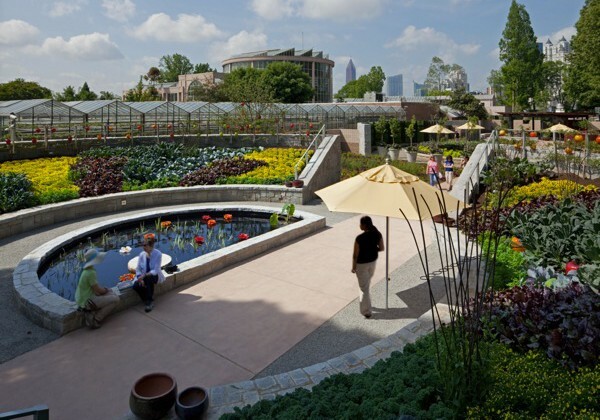 An urban oasis in the center of Midtown Atlanta, the Garden includes 30 acres of outdoor gardens, an award winning Children’s Garden, the peaceful Storza Woods accentuated with a unique Canopy Walk, as well as their inventive Edible Garden and Outdoor Kitchen. Indoors, the Fuqua Conservatory houses an organic biosphere, home to the Fuqua Orchid Center with the foremost collection of species orchids in the United States. The Garden’s more than 400,000 annual guests will have the option to purchase tickets onsite at the venue or online ahead of time using the venue’s eGalaxy Web Store. In addition to front gate and online sales, the venue will also employ Galaxy for group sales, resource management and access control. Handheld point of sale units will be used for mobile ticketing. Galaxy’s robust and customizable features will enable the Garden to maximize revenue and efficiency, for both their traditional admission needs and during their renowned annual events such as Garden Chef Demos, Concerts in the Garden, Garden Lights, and Orchid Daze. the Gateway family and look forward to a long and successful relationship.